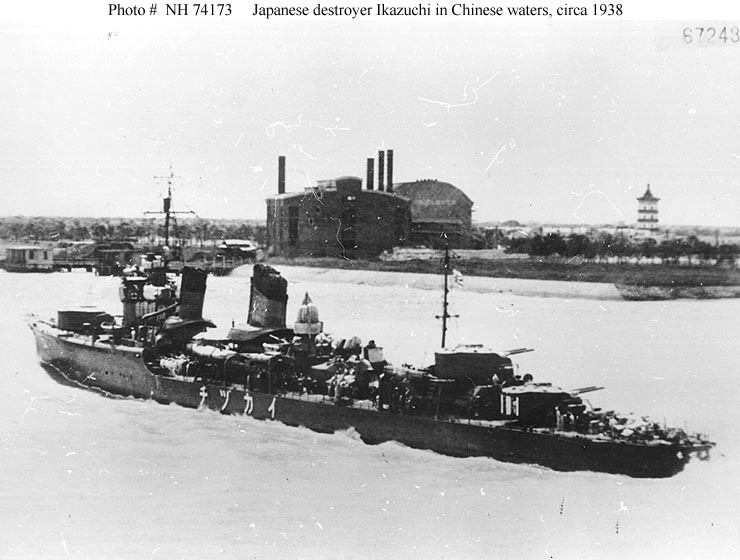 Dimensions 388'6" by 34' by 10'6"
Modifications One of the dual 5"/50 turrets and one of the twin 25mm guns were removed and replaced with 4x3 25mm guns and 4x1 13mm/76 AA guns early in the war. Two depth charge racks were added and the depth charge loadout increased to 36. 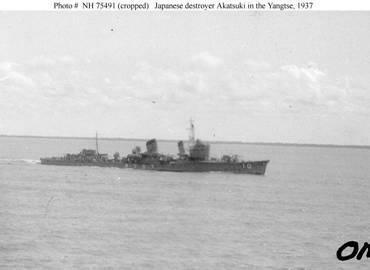 By war's end, Hibiki had light antiaircraft armament of 4x3, 1x2, 14x1 25mm and 12x1 13mm guns. 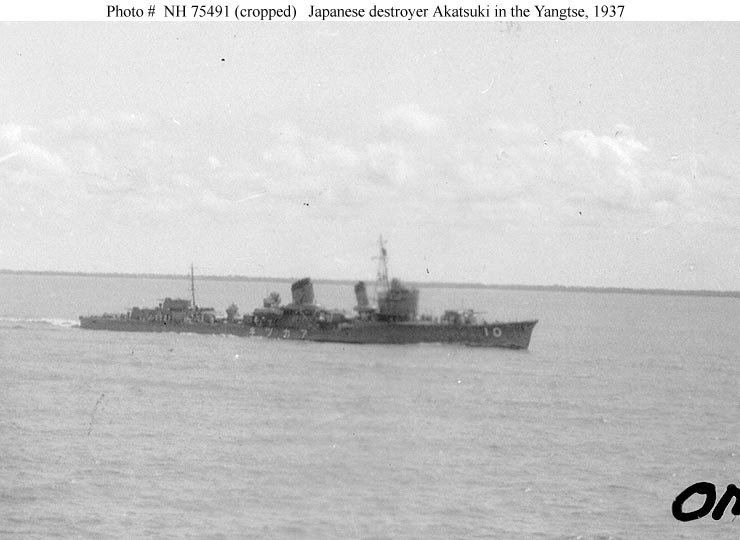 The Akatsukis were completed in 1932-33, mostly in navy yards. 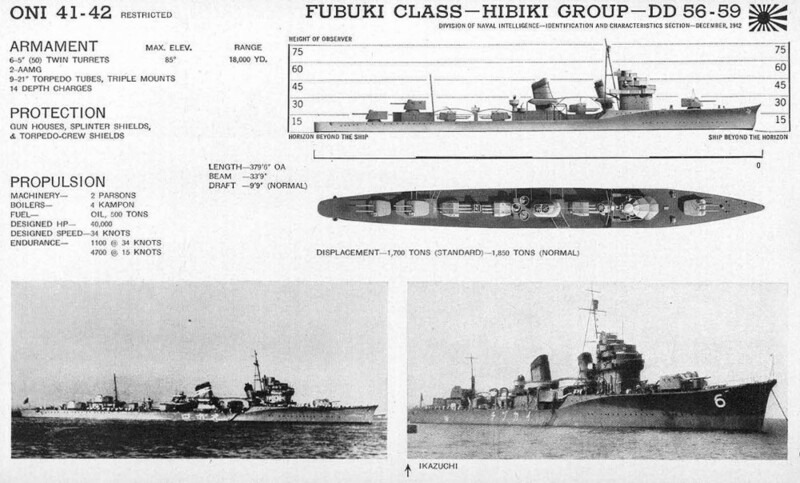 They were a continuation of the Fubuki or "Special Type" class, incorporating lessons from the earlier class. Some modernization took place in the late 1930’s, which improved stability at some cost in speed.